The history of sushi is a long one, and though most people think of sushi as an ancient food, the modern form we eat today is a relatively recent development in sushi history. Originally a form of food preservation, sushi evolved into fast food and finally into the cuisine we know and love today. What is sushi? That might seem an odd question if you’ve already found your way here, but the answer is more than simply “raw fish”. In fact, even the origin of the word sushi is in question: “sour tasting” and “vinegar rice” are but two attempts to translate this ancient word. A somewhat formal definition would be “a Japanese dish consisting of cooked vinegared rice (shari) combined with other ingredients (neta)”- which excludes sashimi, since that dish contains no rice! The origin of sushi started with nare-zushi, where raw fish was packed with cooked rice. The rice would ferment, preserving the fish and becoming inedible in the process. Just the fish was eaten and while it is said to have been tasty, the smell was quite strong and disagreeable. The sushi story continued- the fermentation process was shortened gradually, making the rice more edible. Eventually rice vinegar was introduced to the process, mimicking much of the fermented taste without the unpleasant smell- the fermentation was phased out and the beginning of modern sushi was born. What we think of as sushi today began in the 18th century in Edo (modern day Tokyo). The story of sushi is that once rice vinegar completely replaced the fermentation process, sushi could be made very quickly and became a popular fast food by the roadside and in theaters. 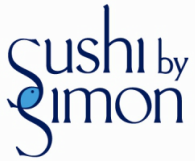 Today, we don’t think of it as fast food but Sushi By Simon is available just about anywhere, including New York City, Nassau County, Westhampton Beach NY, and Bergen County NJ. There are many types of sushi nowadays, even some of the most ancient forms, demonstrating that the history of sushi isn’t dead- you can still eat a bit of sushi history by finding the right restaurants!